Qudus brought his four year old daughter Khal Bibi after she fell through the roof of their home and injured her leg. MSF’s Trauma Centre in Kunduz was the only facility of its kind in the whole north-eastern region of Afghanistan providing high level life- and limb-saving trauma care. MSF's Trauma Centre in Kunduz opened in August 2011 to provide high quality, free medical and surgical care and physical therapy to victims of trauma, as well as those with conflict related injuries from bomb blasts or gunshots. It was the only trauma centre of its kind in the region. The hospital was partially destroyed by an airstrike on Saturday 03 October 2015. At least 42 people, including 24 patients, 14 staff and 4 caretakers were killed in the aerial raids. MSF calls for State activation of the International Humanitarian Fact-Finding Commission to investigate Afghanistan bombing. Please join us in demanding that a full and transparent investigation into the event be conducted. A young patient, whose leg was severely damaged when struck by shrapnel from a mortar, plays with a balloon at the Kunduz Trauma Centre. Free treatment was provided to patients regardless of their political affiliation. A young patient has her leg assessed by MSF staff. Kunduz Trauma Centre provided high quality, free medical and surgical care to victims of trauma such as traffic accidents, as well as those with conflict related injuries from bomb blasts or gunshots. A young patient waits to be X-rayed with her father. A man injured in a traffic accident is treated at Kunduz Trauma Centre. A young man with facial wounds sustained when a mortar shell landed nearby has his wounds cleaned and dressed. An anaesthetist at work during an operation. In 2014, more than 22,000 patients received care at the hospital and more than 5,900 surgeries were performed. A surgeon displays two bullets extracted from separate patients at MSF's Kunduz Trauma Centre in northern Afghanistan. 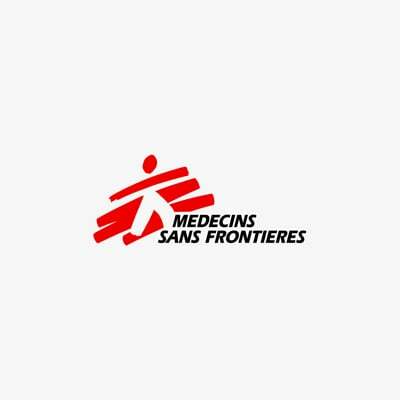 Since fighting broke out on Monday 28 September, MSF had treated 394 wounded. A father watches over his son in the Intensive Care Unit (ICU) at MSF's Kunduz Trauma Centre. A young patient spends some time in the gardens of the Trauma Centre in Kunduz.